KTM announced it will return to Grand Prix road racing in 2012 with a new racebike for the new 250cc four-stroke Moto3 class. The Austrian manufacturer discontinued its Grand Prix road racing program in 2009, withdrawing from the 125cc class (pictured above is current Moto2 racer Marc Marquez racing for the KTM factory team in the 2009 125cc class). With the Moto3 class set to replace the 125cc class in 2012, KTM will return with a new racebike. KTM also announced an exclusive partnership to supply Moto3 engines to Kalex Engineering, which produces Moto2 racebikes. Current Moto2 points leader Stefan Bradl rides a Kalex. KTM the market leader in sports motorcycles and the company that embraces its pure racing DNA with its “Ready to Race” philosophy will return to the MotoGP competition in 2012 to compete in the new Moto3 category. Extensive and intensive preparations are underway at KTM, where a 100% pure, in-house Moto3 racing machine is being developed by KTM engineer Wolfgang Felber and his team. KTM has also secured an exclusive partnership with Kalex Engineering and together the two companies will combine both skills and passion to develop two different, but parallel concepts, both focusing on a successful entry into the new race category. While the development of the 100% “Made by KTM” racing motorcycle is right on schedule at KTM’s Motorsports Department in Mattighofen (Austria), at the same time KTM and Kalex Engineering have secured an exclusive partnership for the supply of engines to the southern German company. Kalex, which for years has been synonymous with high-quality vehicle development and special parts for motorsports, has played an active role in the Moto2 class since 2010. Kalex rider Stefan Bradl is currently the clear leader in the world championship and the Kalex headquarters is just two hours away from KTM in Upper Austria. The aspect yet to be finalized regarding KTM’s return to full scale international road racing is what teams and which riders will be at the handlebars of the 250 cc single cylinder four-stroke KTM and Kalex-KTM racing machines. Alex Baumgärtel, Managing Director Kalex Engineering: “The exclusive partnership with KTM as supplier of engines is a big step forward for us. 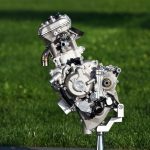 As we already have a good insight into the construction of the new KTM Moto3 engine we feel certain that we have the best basis for the drive system for our own racing motorcycle. With this combination we can continue to build on the success we have enjoyed in the Moto2 class. We are very much looking forward to the development and the 2012 season. 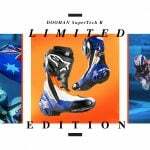 KTM, trading as KTM Power Sports AG is a leading international manufacturer of motorsports vehicles. KTM has already achieved 188 world championship titles and has won the Dakar Rally ten times. 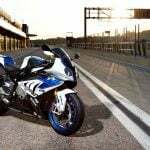 The operational core business develops and produces race-ready offroad and street motorcycles. The KTM-Sportcar GmbH is the company for the super lightweight sports car, the X-BOW, with which KTM has taken the first step into the automobile area. Situated in southern Germany, Kalex Engineering is a specialist in the field of automotive engineering as well as in development, design, fabrication and associated services. The company concentrates on a comprehensive three point system of operation: Engineering, Race Service and Fabrication and is currently enjoying impressive success in the 2011 Moto2 season.